The cloud storage service rolled out a couple of new features that make uploading files from desktop a lot more easier. Dropbox has just rolled out its second update for the week, a new feature that allows automated upload of photos of video files from its PC or Mac clients. This new feature simplifies the process of transferring media files from any camera, phone or SD card to your Dropbox and retains full-quality the original size to a private “Camera Uploads” folder. 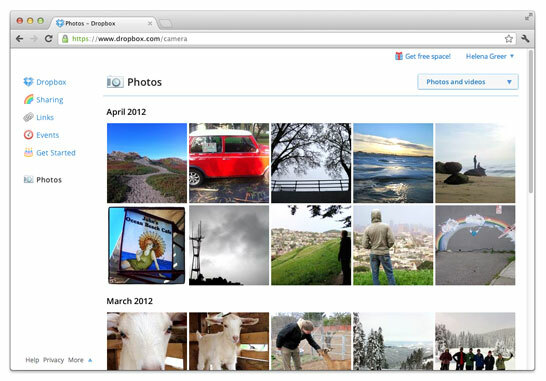 The cloud storage service also rolled out an update to its web interface, a new Photos page which displays large thumbnails which are grouped by month and added another 3GB to the initial 500 MB storage space for free.